Jama, a Somali boy, walks and walks, ‘sharpening his spirit on the knife-edge of solitude’. The long journey that becomes his life begins in Aden, Yemen, and threads through Hargeisa, Somaliland, war-torn Eritrea and Palestine, finally taking him all the way to England. 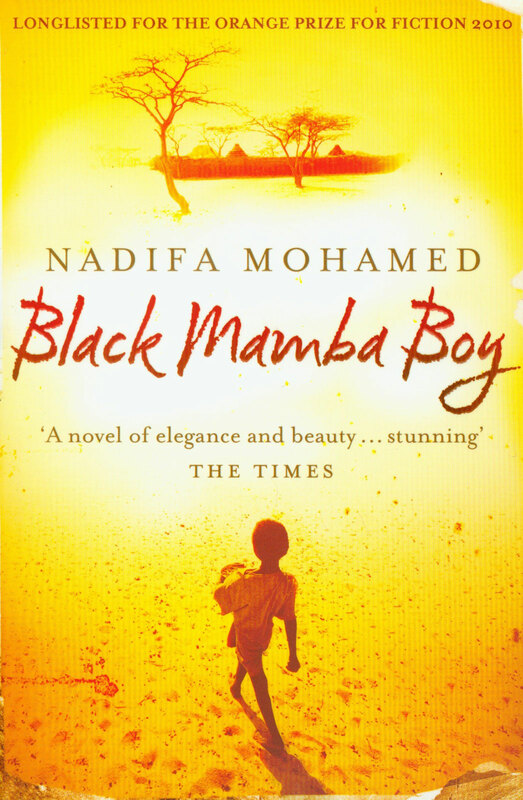 Mohamed’s Black Mamba Boy traces Jama’s wandering pathway across the dust of landscapes criss-crossed by many other journeys, till finally he becomes, by accident, a British subject. This involving story draws the reader deep into Jama’s world. We share in his never-say-die optimism, and rejoice when, at last, he becomes an addict of funfairs and gets a chance to play. As Tina Steiner argues in her examination of the divergent pulls of space and time in the novel, Black Mamba Boy can be read as both ‘an adventure tale and as a historical novel’. In addition to the lyricism of Mohamed’s prose and the gripping account of her father’s history, the novel has drawn praise for providing alternative perspectives on world historical events. For example, it shows the pervasive impact of the Second World War beyond the battlefields that tend to dominate the accounts of history books: Jama witnesses the many casualties of Mussolini’s occupation of Eritrea, and later joins a ship transporting Jewish refugees from German concentration camps denied entry to Palestine and seeking safety in Britain. These scenes are some of the most difficult, and most moving, in the novel. Cite this: Boehmer, Elleke and Wallis, Kate. 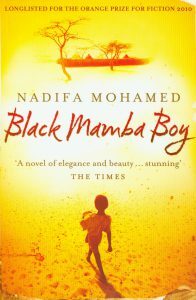 “Nadifa Mohamed’s Black Mamba Boy.” Postcolonial Writers Make Worlds, 2017, https://writersmakeworlds.com/mohamed-black-mamba-boy/. Accessed 21 April 2019. Postcolonial Writers Make Worlds (Principal Investigator: Professor Elleke Boehmer, Postdoctoral Research Fellow: Dr Erica Lombard) is an initiative of the University of Oxford Faculty of English Language and Literature, supported by the John Fell Oxford University Press (OUP) Research Fund.